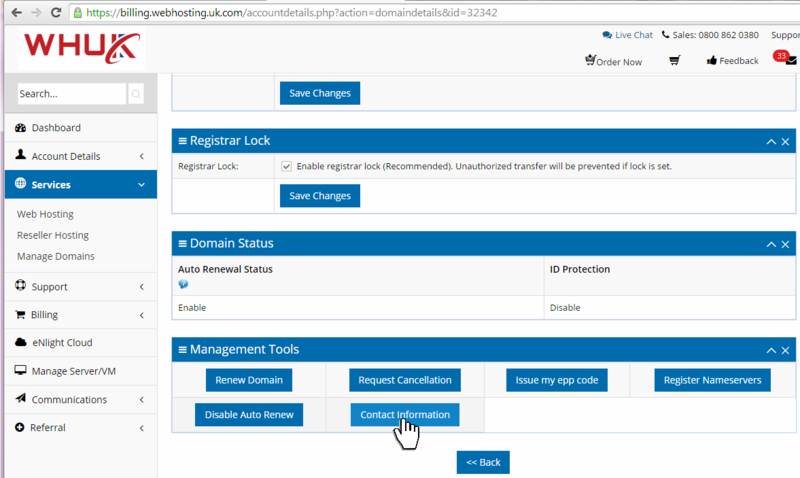 /Domain And DNS /How to Update Contact Information or Whois Details for Domains with WHUK? 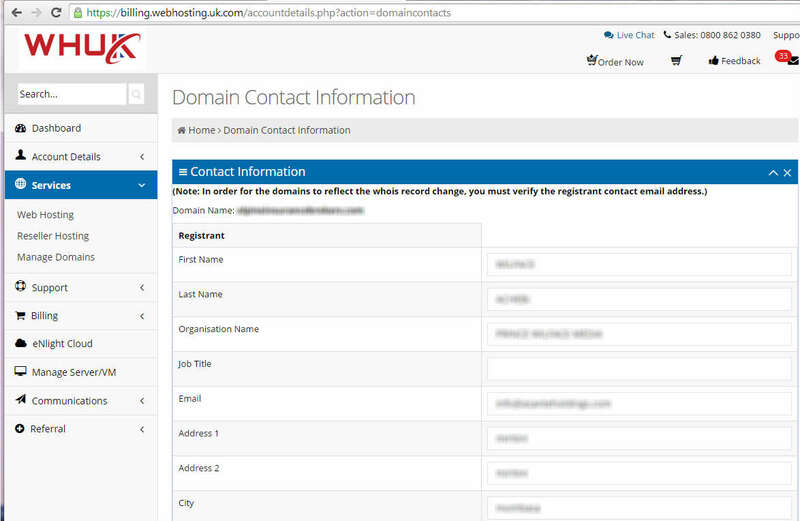 Having your domains contact information updated is vital. 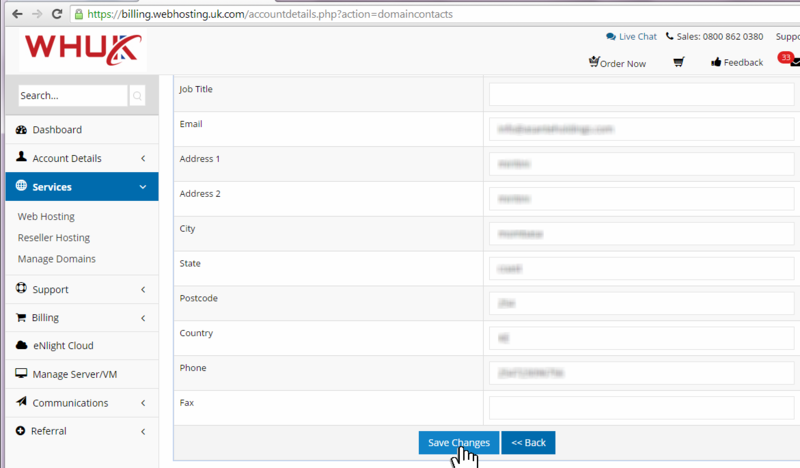 Frequent emails are sent to customers who have their domains registered with us, and we expect you to update the registrant, administrator, technical, and billing contact information for your domain(s). Some would also refer to this as the Whois information, it’s the same. Well, if you don’t know how to update these details, here’s a guide. Step 1: Log in to your web hosting dashboard. 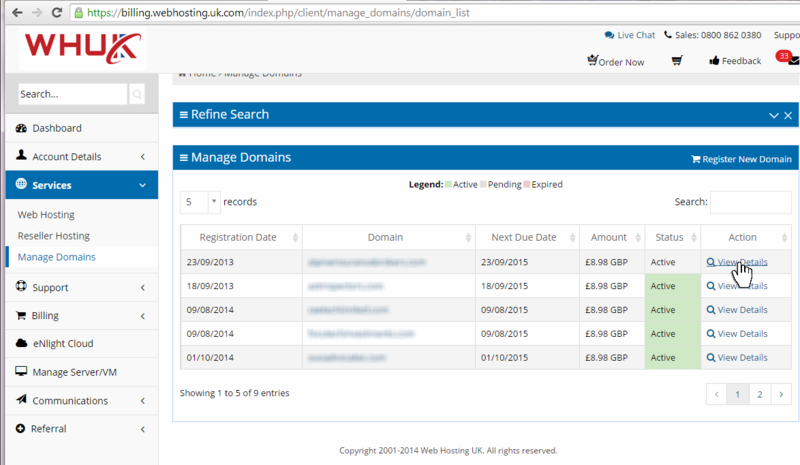 Step 3: Click View details for the domain you wish to change/update the details. Step 5: Evaluate the details for the fields and update where necessary. Step 6: Save the updated details. If you still need any assistance with updating the information for your domain, please feel free to contact our billing department by email ([email protected]) or 24×7 live chat support, we’ll be glad to assist.